KeySix™ Driving Metrics | Smith System Driver Improvement Institute, Inc.
Everything you need to know about your individual drivers is secure in their cloud-based KeySix profile: driving history, license status, training status, incidents and crashes, data from SmithSafe, MVR records, training assignments and more. 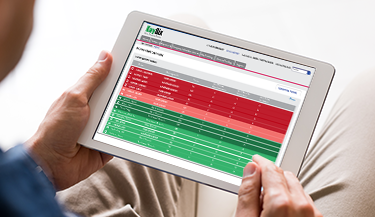 Integrated data collection helps you automate the process while the resolution system allows you to issue alerts and warnings to drivers, modify assignments and resolve problems with the click of a button. KeySix integrates seamlessly with Smith360™ and SmithSafe® to give you a powerful, simple solution to fleet and driver management. The most important facet of any driver database is the ability to turn its information into actionable data. KeySix does this through its unique resolution system. This powerful platform automates fleet driver data collection and establishes a driver rating system. Log important information such as driving history, license status, on-road behaviors, training status and more for individual drivers. Driver data is stored in a single location, so you’ll never need to juggle multiple spreadsheets again. 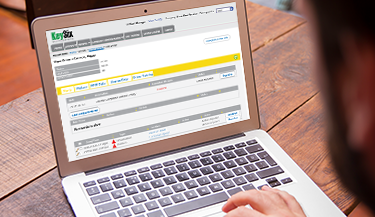 Most importantly, KeySix helps you resolve driver problems, not just identify them. Reviewing driver records, setting training schedules, pinpointing driver problems, tracking performance and compliance data — there’s a lot of work involved in keeping drivers safe and compliant. In the past, you probably juggled multiple spreadsheets, pieces of software and paper forms to handle all of this. Now, all you need is KeySix. We understand that programs of this type need to complement your HR policies, not compete with them. That’s why we made it simple to integrate KeySix into your existing structure. Apply your policies and communications or even create your own customizable scoring system and driver profiles.